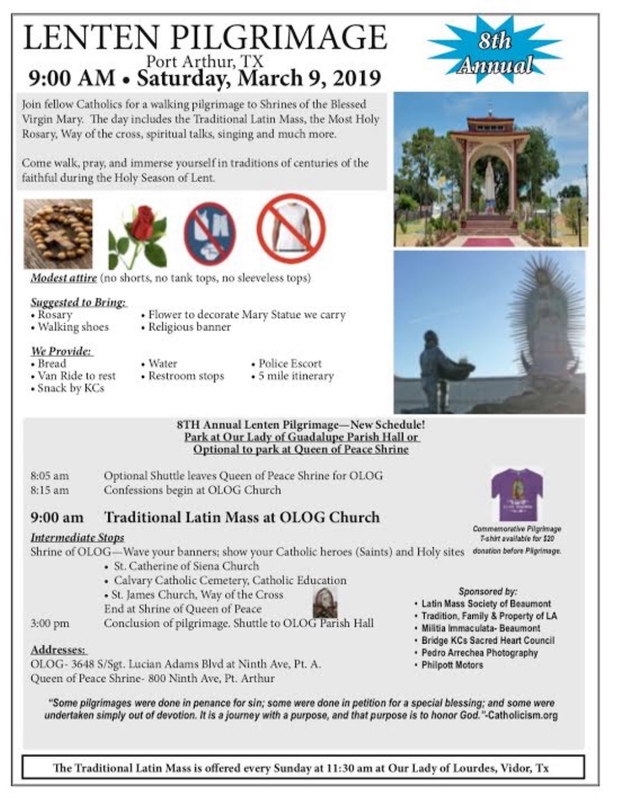 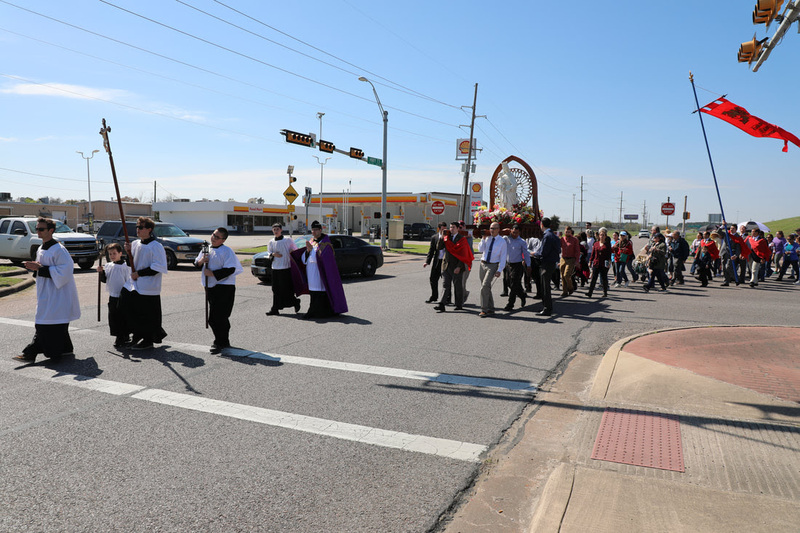 The Latin Mass Society of Beaumont, Texas, will hold its 8th annual Lenten Pilgrimage in the city of Port Arthur on Saturday, March 9th, beginning at 9am with Mass at the church of Our Lady of Guadalupe, located at 3648 S. Sgt Lucian Adams Blvd. There will be time for confessions 45 minutes before Mass. 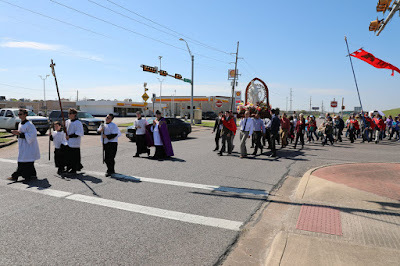 Afterwards, the procession will make its way to various Catholic sites as the pilgrims pray the Rosary and sing hymns; inter alia, a spiritual talk will be given at the church of St Catherine of Siena, and the Way of the Cross will be celebrated at St James the Greater. The pilgrimage will end at Our Lady Queen of Peace Shrine (located at 800 9th Ave), which was built by Vietnamese Catholics who settled in Texas after the fall of Saigon; the Solemn Act of Consecration to the Immaculate Heart of Mary and final blessing conclude the day’s events. 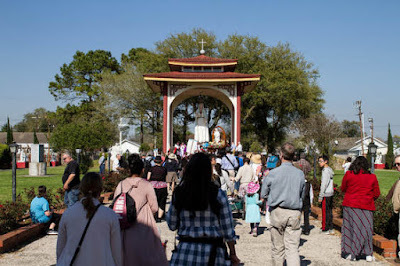 Photos of last years pilgrimage.